The relevant box for each of the days of Lent will go live at 12 midnight on the preceding day. 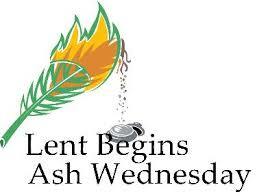 Ash Wednesday is a day of fast and abstinence. In the readings today there is a great consciousness of our sinfulness, we we pray ‘Have mercy on us, O Lord, for we have sinned’. There is also a sense that the time to repent and turn back is now. The Gospel tells us how to approach that renewal of our lives. It puts before us the remedy in prayer, fasting and almsgiving. These three strands of Lenten observance are as ancient as Christianity itself. There is no substitute for them. ‘Fasting is the soul of prayer, mercy if the lifeblood of fasting. If we have not all three together, we have nothing,’ says Saint Peter Chrysologus. Ashes are a symbol of penance made sacramental by the blessing of the Church, and they help us develop a spirit of humility and sacrifice. The ashes are made from the blessed palms used in the Palm Sunday celebration of the previous year. The ashes are christened with Holy Water and are scented by exposure to incense. While the ashes symbolize penance and contrition, they are also a reminder that God is gracious and merciful to those who call on Him with repentant hearts. His Divine mercy is of utmost importance during the season of Lent, and the Church calls on us to seek that mercy during the entire Lenten season with reflection, prayer and penance.